The night of Apr. 21 in El Salvador, offenders attempted to attack a police station with a grenade, but were stopped by the unlikely hero named Oso. El Salvador is a country located in Central America which suffers from a high crime rate. This year, two other police stations in El Salvador suffered from similar attacks. Fortunately, Oso came to the rescue on Tuesday night. Police officers at the scene recall that the attackers approached the police station on a motorcycle. As soon as Oso noticed that the motorcycle stopped, he lunged towards them and kept them from moving forward. The attackers still launched the grenade, but Oso kept them from getting close enough to the station where they could cause any significant damages. The only damage that occurred was structural. Had the attackers been able to get closer to the station, it is very likely that lives would have been lost. Nobody was injured and no lives were lost that night. Oso did suffer from lesions, but he was immediately transported to a veterinary clinic. It has been reported that he is stable and that he is recovering well. 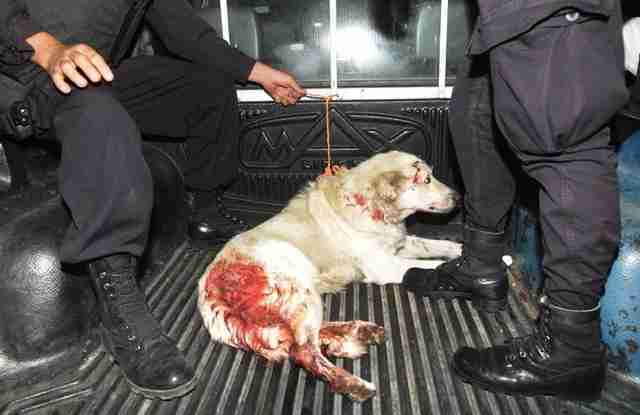 Oso did not belong to any of the officers, but had been living close to the police station for several years now. A police officer explained Oso's relation to them: "Oso did not belong to the corporation, but he would always accompany us everywhere," he said. After the incident, many of the officers wanted to train Oso so that he could work alongside other canines in El Salvador's police force. However, they believed that because he is nine-years old, he may be difficult to train. 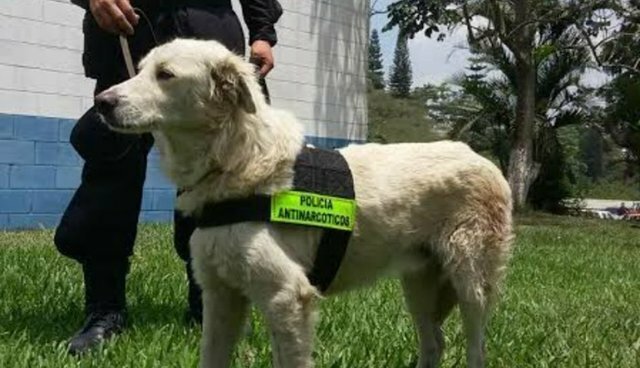 Instead, they have made him an honorary member of anti-narcotics division, where many of the Salvadoran police force's dogs work. After he recovers from his lesions, Oso will continue to be taken care of by the officers. He will also most certainly remain a national hero. Coverage was carried out by La Prensa Gráfica.